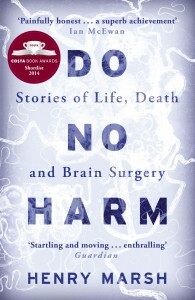 British neurosurgeon Henry Marsh tells “Stories of Life, Death and Brain Surgery” in this aptly-titled memoir. He provides a personal trip through his career by relating stories tied to various medical problems. Each of the twenty-five chapters is a named condition. Many are nearly unpronounceable, but each is defined so that we know where the problem affects each patient. Pineocytoma (a slow growing tumor of the pineal gland), glioblastoma (an aggressive brain tumor), and oligodendroglioma (a tumor of the central nervous system) are just three examples that lead Marsh into discussions on the value of life and the role of health care. The storiesin Do No Harm highlight the differences between Great Britain’s National Health Service and the private health insurance plans available there or in the United States. Marsh operates within the strictures of the NHS, but has private insurance when he or his wife requires care. Conversely, he must deal with a bureaucratic nightmare that often makes it difficult to find a bed for patients or forces surgical postponements even on the morning of a scheduled operation as a queue of patients waits to be taken into the surgery. The bureaucratic snafus make it difficult to do no harm, as delays can result in irreparable harm to patients. Marsh draws a further difference between British and American doctors. British doctors are apparently willing to admit to their mistakes as they are largely sheltered from the likelihood of legal ramifications. In fact, Marsh admits to errors in judgement, such as nicking an artery that leads to a vegetative state in a patient. 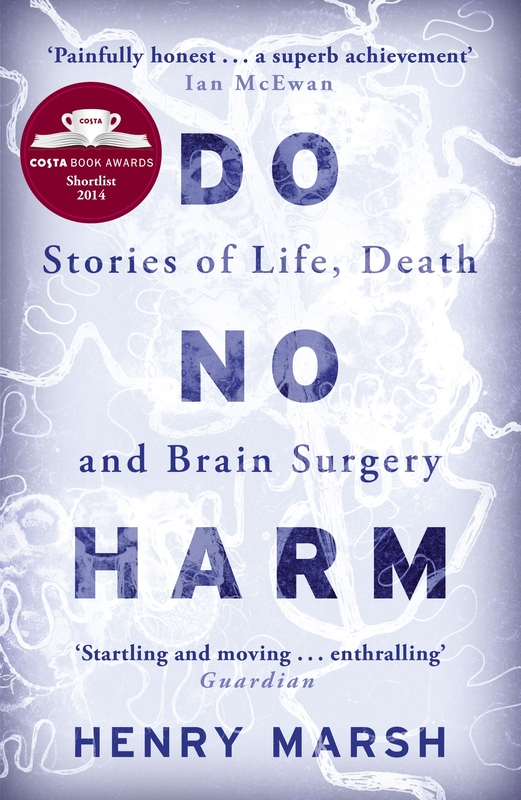 More importantly, the stories in Do No Harm examine the personal interactions between the surgeon and his patient and illustrate the detachment that enables him to continue operating again and again even when something has gone wrong. And things do go wrong. He contrasts the “knowing skepticism of the English” with the American belief that any problem can be solved with enough money and hard work, thereby raising the question of how much care is too much. The Conversation by Angelo E. Volandes, M.D. serves as an important companion piece for this discussion. Scheduled to retire in 2016, Marsh was a noted neurosurgeon for 35 years for Britain’s NHS. He did additional consultations in the United States, Eastern Europe, and Ukraine. His descriptions of medical facilities in Ukraine, the likes of which this reviewer has witnessed in Moscow, are harrowing. For added color, watch BBC Newsnight’s “A day in the life of NHS neurosurgeon Henry Marsh” on YouTube.